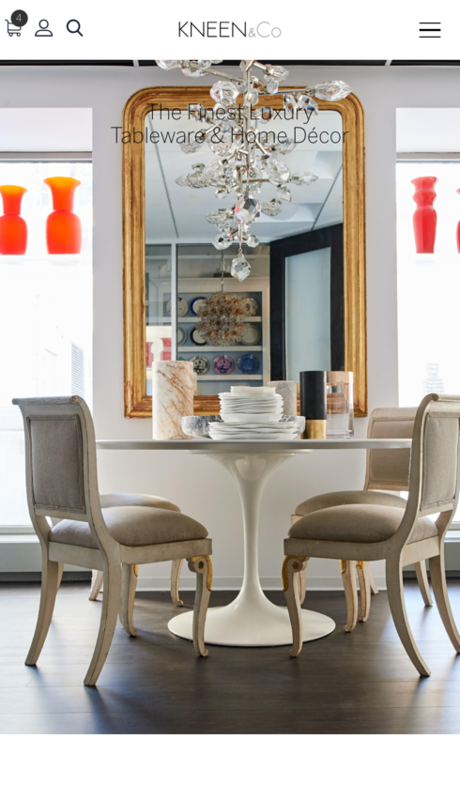 Kneen & Co. represents the world’s finest collection of luxury home goods and accessories, featuring items created with authenticity, artistry and master craftsmanship. 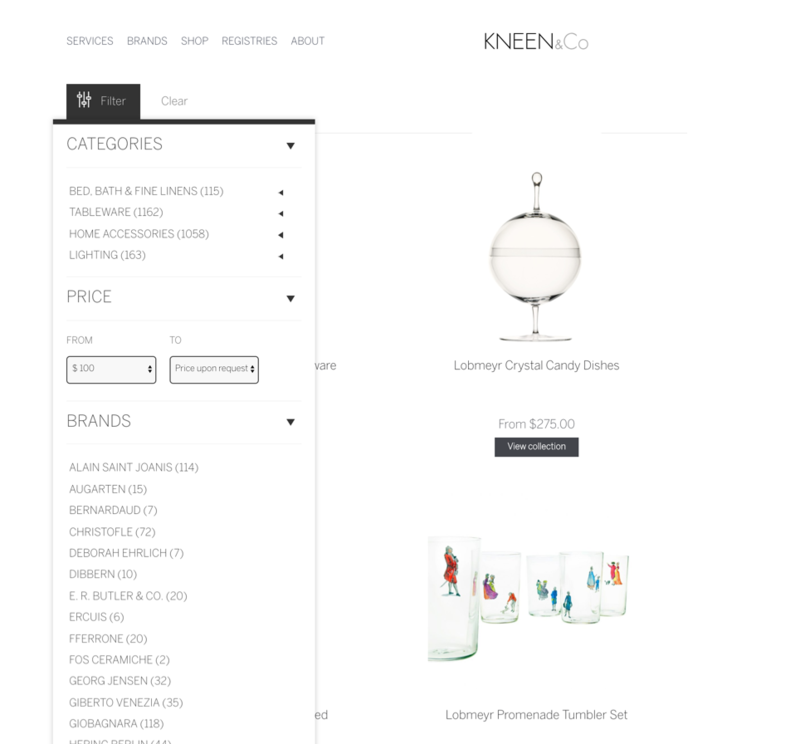 Got IT Digital worked with Kneen & Co. originally to develop an SEO strategy to reach their precise audience online. 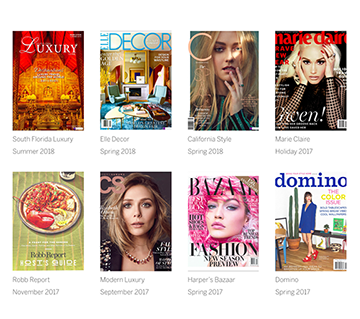 We researched the search intent of their customers and developed a deep understanding of the luxury industry to increase our client’s visibility in search results and to drive more valuable traffic to their site. We implemented CRO tactics to capture shoppers’ interest, turning browsers into buyers. Using Google Experiments and Optimizely, we tested several designs and versions of copy, refining the site based on which pages achieved the most conversions. But as we dug deeper into their site, it became clear that for optimal results, they needed to upgrade to a new website. Their current site was built on Magento, and with the recent launch of Magento 2.0, it was announced that support for the original platform would be discontinued. A site migration was inevitable, and we used this opportunity to explore the best option for their needs. 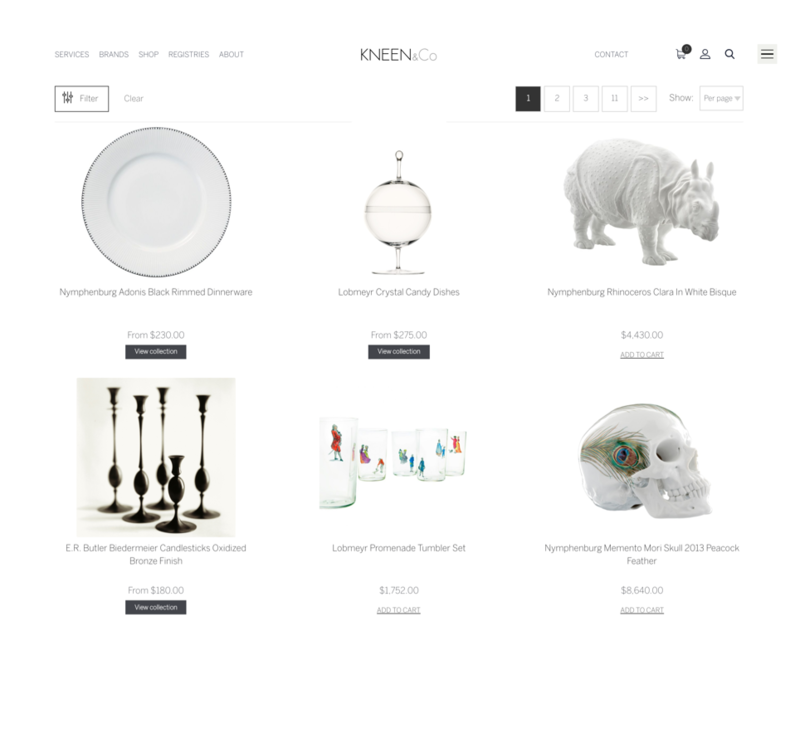 We built a fully customized WordPress site, integrating WooCommerce for e-commerce functionality. This migration was complex, as we transferred thousands of current users, orders, wedding registries, and customer records to the new site. We also worked to ensure a seamless data transition for their online inventory of over 10,000 products. 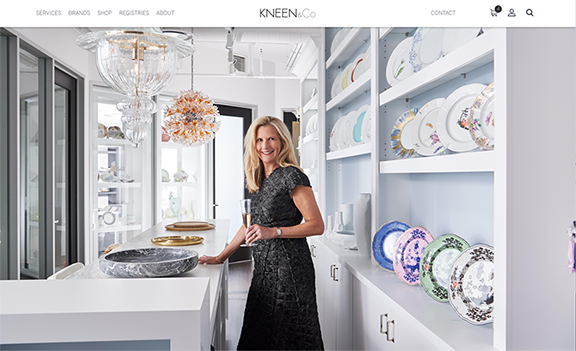 At the same time, Kneen & Co. was upgrading their overall brand and moving their retail store to Chicago’s prestigious Michigan Avenue, and they needed their new site to match in sophistication and beauty. Although this site was well-planned for usability in the back end, we took a design-first approach to support the company’s rebranding efforts. The user experience needed to “feel” luxurious. Translating this tactile experience to a digital setting involved much planning and precision. 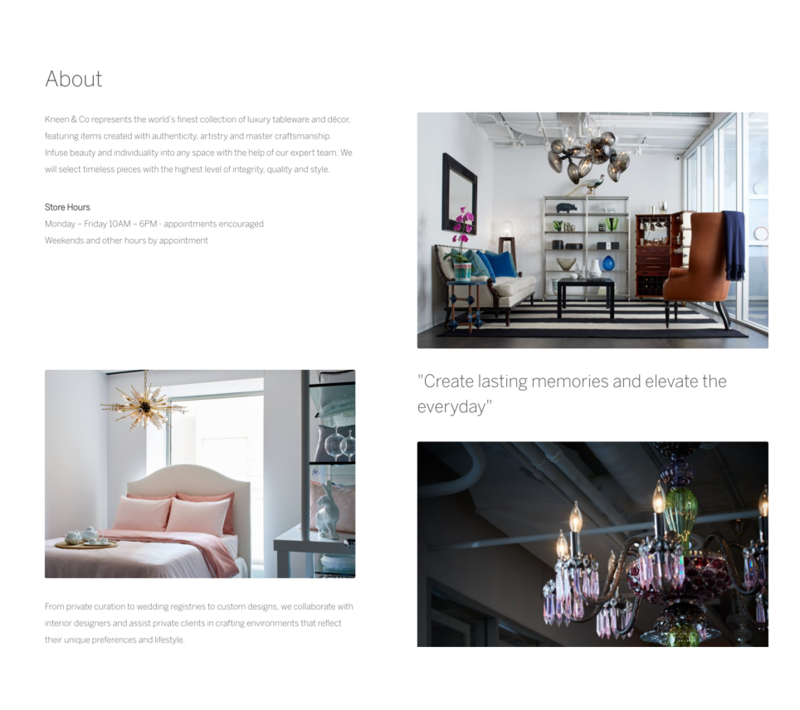 Just as a few well-curated products in a store window convey luxury and high value, we designed simple web pages with high-quality photography, elegant typography, and airy white space to translate the luxury in-store experience to online customers. 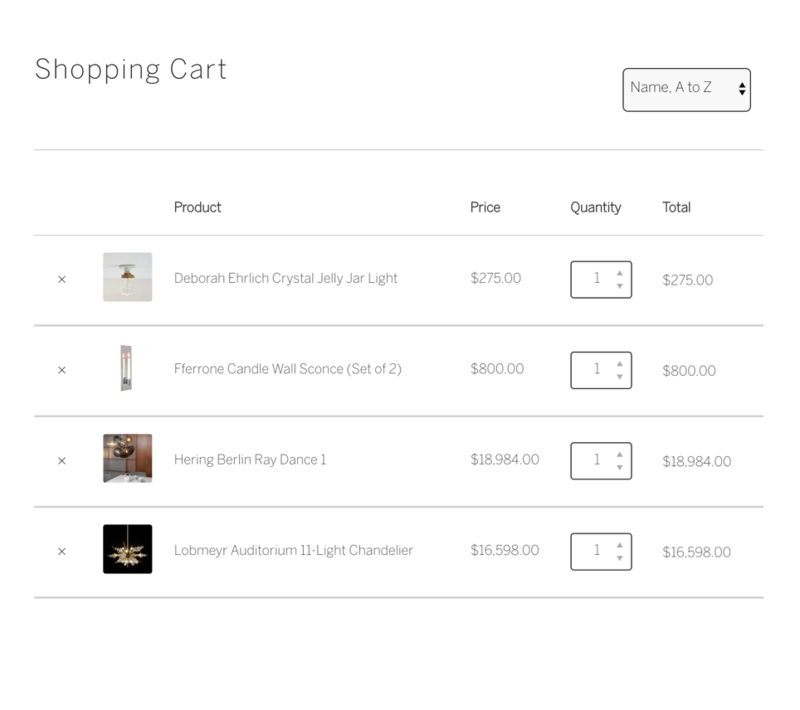 To simplify the customer’s pursuit for the perfect item, we added a search option enhanced with filters. Content descriptions convey the exclusivity of each piece, highlighting the design of each feature to connect with the audience. We collaborated with the owner and their internal team to create a fully customized back end to meet their clear vision of how they’d use the site. With site features such as custom search and customer registries, our team planned out the most effective and efficient solution for architecting this technology. The site was built responsively to perform seamlessly across mobile, tablets, desktop screens, and everything in between. 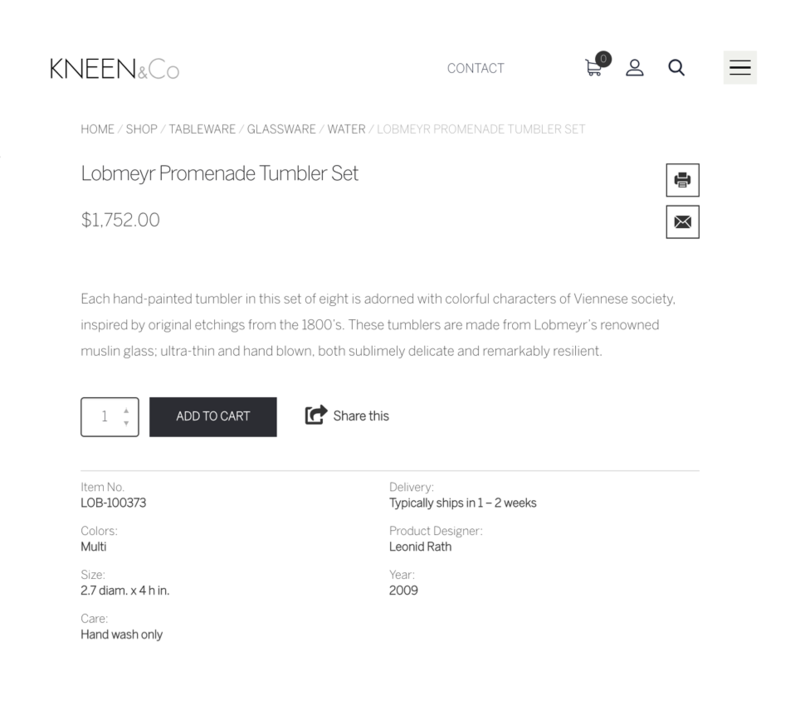 The result is a luxurious shopping experience for site visitors while streamlining Kneen & Co.’s operational and e-commerce process on the back-end.